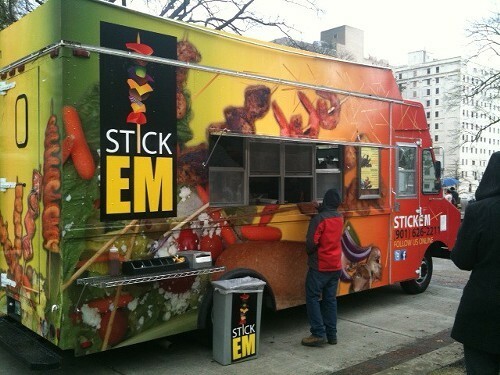 Those good things you heard about kabob-centric Stickem food truck? All true. 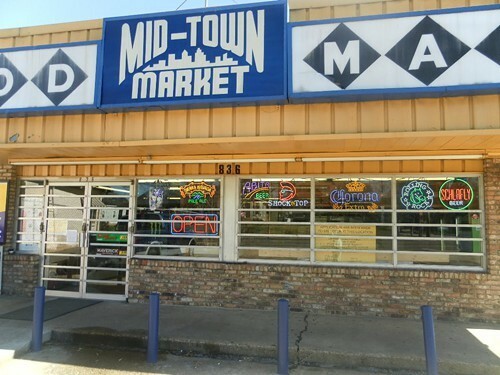 Midtown Market's Beer Permit "Continued"
In January, the Commercial Appeal ran a feature on Midtown Market about new owner Kevin Park's efforts to convert the admittedly run-down convenience store on Cooper into a grocery store offering local items and produce. Park attended a Cooper Young Community Association meeting to introduce himself and to assure everybody of his commitment to being a good neighbor. But, it appears that not everyone is convinced. On February 20th, Midtown Market's application for a beer permit was "continued" by the City of Memphis Alcohol Commission after commission member Billy Post, who owns Basil Bailey Salon in Cooper-Young, raised concerns about the market. Specifically, Post is concerned that Park and his wife Soojin are the new owners in name only as an attempt to evade further legal trouble for selling alcohol to minors. C-Lou Patton's House of the Finest Quiches, located in a sweet storefront next to the Hattiloo on Marshall, opened last January. Its primary business is catering, but you can place an order for a quiche and then pick it up piping hot an hour later. I ordered the vegetable quiche. 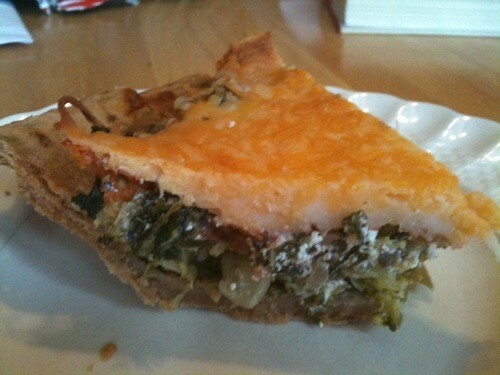 It came topped with a generous amount of cheese and packed with vegetables — broccoli, spinach, carrots, etc. It was so vegetable dense as to almost qualify as a pot pie. Very good and a bargain at $12 per quiche. There are some 30 quiches listed on the menu, from beef & sausage ($12) and grilled chicken stir fry ($14) to crab and broccoli ($14) and steak ($14). Quiche prices top out at $20. Patton's offers a few items that can be prepared on the spot, including a number of salads, breakfast dishes, and pie by-the-slice. Business hours are Monday-Friday, 8 a.m.-6 p.m. and Saturday 8 a.m. to 4 p.m.
C-Lou Patton's House of the Finest Quiches, 648 Marshall (546-8539/406-4280). Anticipation is high for Saturday's opening of the Salvation Army Ray & Joan Kroc Corps Community Center. The fitness center, located at the fairgrounds, includes a full-sized basketball court, a splash park, soccer fields, weight and cardio machines, a local artists' gallery, a theater/chapel, and more. Then there's the Kroc Cafe with sit-down dining for 35, concession stands, and room for classes. The Kroc Cafe provides catering services as well. 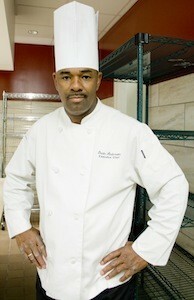 Overseeing it all is executive chef Quan Anderson. Anderson is a native Memphian, and he's been cooking a long while, set on the path at the age of 17, when he was on the cusp of dropping out of his tech high school. An instructor convinced him to stay and Anderson liked the school's cooking program. Anderson has worked in New York and Missouri. He was the Peabody hotel's banquet chef. At some point, he began incorporating his faith into cooking. He taught kids in a culinary outreach program to cook dishes made with food mentioned in the Bible. He's been putting together a cookbook that connects the dishes with scripture. And now it's on to the Kroc Center, where he designed the menus for the cafe as well as the one used for catering and heads a staff of four (though he says that number may expand). Members can grab a granola bar or yogurt to fuel a morning workout, or take a vegetable cup to-go to eat later. There are weekday edible themes like Monday's "Build Your Own Salad" and Wednesday's "Comfort Food." It cannot go unmentioned that the Kroc Center is funded by wealth created by McDonald's. Anderson, for one, does not have a problem with people eating McDonald's. His goal is to shed light on healthy alternatives, like creating a burger patty with less fat. Anderson acknowledges that things have been hectic getting the Kroc Cafe ready for its debut on Saturday. "It's a big task," he says. "It's ministry in the oven." 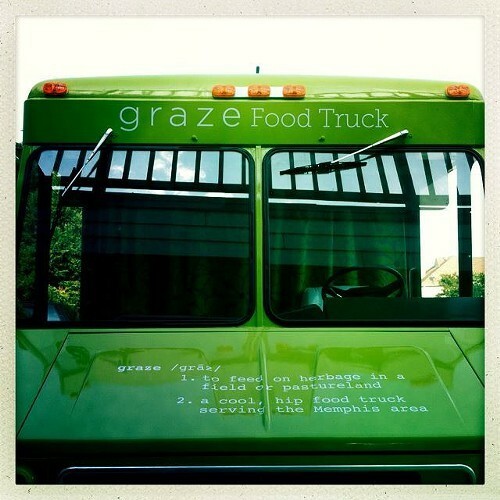 Graze Food Truck: "Farm to Truck"
A year and a half ago, Amelia Timms moved to Memphis with her husband, and it was while this culinary school grad was looking for a job on Craigslist that she spotted a for-sale listing for an old Chevy step van painted a "hideous maroon." "I had to have it!," Timms says. She does have that van, and it's now a pretty bright green and in operation as Graze, a "farm to truck" food truck, serving up fare with an emphasis on locally sourced ingredients. Timms' partners in Graze are Georgia and Pat Smith, owners of Club Windward, a reception facility and catering firm in Lakeland. Timms was working at Windward, investing her paychecks in the van to get it food-truck ready. She says that Georgia overheard her talking about the truck and said, "I want in on it." Pam invited Patty and me to brunch at Paulette's to sample dishes for Pam's upcoming review in Memphis magazine's March issue. Pulled by nostalgia, Patty ordered the Ham Palacsinta — a ham salad wrapped in in a crepe and fried. Pam got the grilled salmon BLT and to round things out I ordered the French toast (at top), swapping the sausage for grits. We also got mimosas and bloody marys because we are not animals. 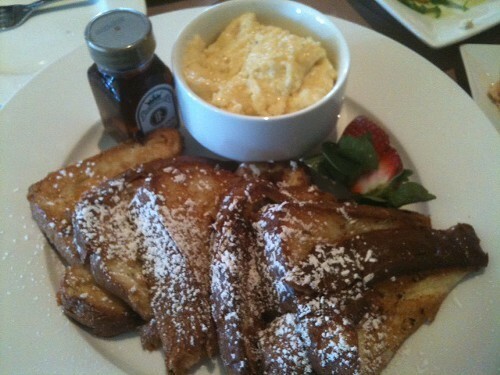 The French toast, brioche battered and sauteed in butter, was a favorite of the table. And, indeed, all the dishes were Paulette's tried-and-trues. That's not to say that it's the same-old same-old. In this week's Food News column in the issue hitting the stands on Wednesday, Hannah talks to Paulette's new chef, who discusses his plans on keeping the Paulette faithful happy while bringing something new to the table. 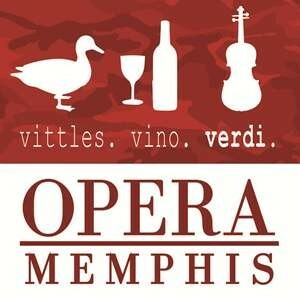 Set for Friday, February 22nd, 6:30 p.m., at Clark Opera Center, it's Opera Memphis' popular annual Wild Game Dinner. We're keeping quiet on menu specifics, as participating chefs are competing for "Best Bite," and we all know the advantages of the element of surprise, but we'll throw out some hints: Cacciatore and poppers. For ticket information and more details, go to operamemphis.org. • On February 26th, 7 p.m., the Boiling Point in Southaven is hosting a Beer & Chocolate Pairing four-course dinner. Each of the courses — including a spinach pear salad with a chocolate vinaigrette (!) and a savory chocolate chili soup — is paired with a beer, from a Rogue Mocha porter to Lindemans Framboise Raspberry Lambic. Cost of the dinner is $30 per person. Reservations are required: (662) 280-7555. 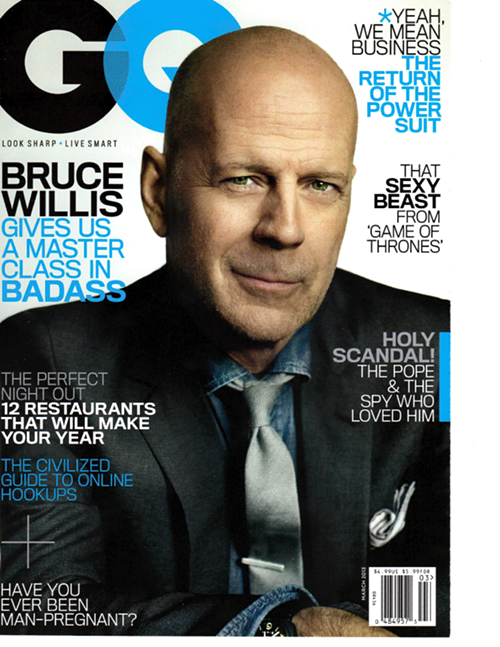 GQ's March issue has a tip for anyone in search of "a perfect night out": Hog & Hominy is one of the twelve most outstanding restaurants of 2013. Well, we could have told them that. Alan Richman praises the east Memphis culinary powerhouse for its pizzas, which can be "simple and traditional," or "like nothing you’ve seen before;" for its peanut butter pie and "sweet-and-spicy" sweetbreads; and for "a style of cooking that seems not to have existed until Hog & Hominy came along." Hats off to Andy Ticer and Michael Hudman, also of Andrew Michael Italian Kitchen, for yet another well-deserved accolade. Now y'all go out and eat a "Red Eye" pizza and wash it back with some keg wine. Go on, get! Sekisui Humphreys Move to Regalia "On Hold"
About a month ago, Sekisui announced plans to move its original location at Humphreys Center to Regalia Center in the site of Circa. Those plans are now "on hold," according to David Lindsey of Sekisui. "It's not going to happen anytime soon," says Lindsey. "That's all I can tell you at this point." Details were not provided as to what happened. Lindsey says there are no immediate plans to move into Regalia or relocate the Humphreys restaurant, referred to among the locations as Sekisui East, to another location. The Humphreys restaurant closed in December after the lease was not renewed to make way for the Baptist Center for Cancer Care. Lindsey says that most of the staff from Sekisui East are now at different locations. He says that the Humphreys restaurant, the first Sekisui opened in 1989, has a loyal customer base. "Fortunately," Lindsey says, "there are enough locations so that everyone has an option." We were hungry by the time we got from downtown to out east and the newly open Rock 'n' Dough Pizza Co., so were happy with the nearly instant gratification from the slice and salad deal ($6 for cheese and side salad; $7 one topping; $8 multi-toppings). 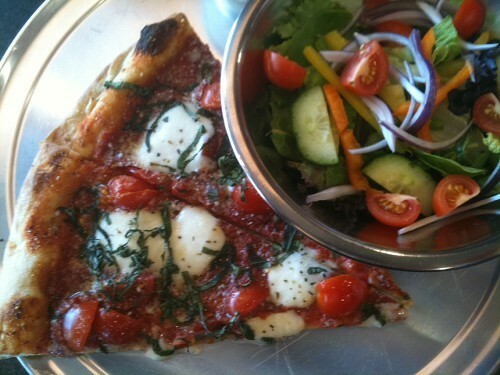 I got the Margherita with the market salad. This slice hews to tradition — fresh mozzarella, tomatoes, and basil. The salad includes seasonal vegetables and is served with a nice vinaigrette. Hannah ordered the SMGC with a Greek salad. 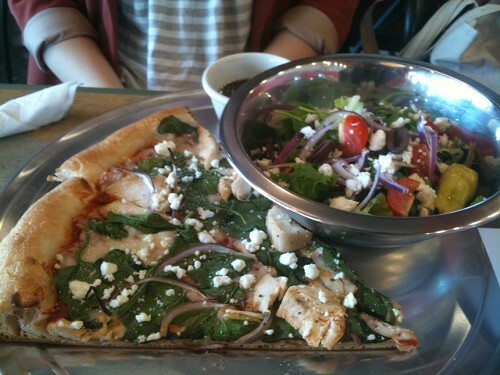 The SMGC is: spinach, mushrooms, mozzarella, and goat cheese. It was topped with chicken as well. There's a fine balance in these pies — an emphasis on fresh ingredients, a steady hand with the sauce. But, the glory here is the wonderful, bread-y crust, which is hardy enough to keep everything in check but not so thick as to leave the diner chewing forever. Other pizzas now offered are the bacon cheeseburger, the vegan pie, the roasted garlic bread pie (served with lemon wedges! ), the Fun Guy pie with portobellos and fontina cheese. The owner says the menu will expand once they get settled in. They also plan to offer delivery in East Memphis. Hannah has more on Rock 'n' Dough, as well as the latest on the second locations of Mellow Mushroom and Broadway Pizza, in the her Food News column in the issue hitting the stands on Wednesday. Last night was the second chance, after Tuesday's event, to catch the inaugural Dishcrawl Memphis, a walking tour of four restaurants in Cooper Young. Dishcrawl began in San Jose, and over the last few years, has spread to cities across the country and into Canada. Future Dishcrawl Memphis events will explore restaurants downtown, in east Memphis, and in other restaurant scenes around town. Our group, about 45 Dishcrawlers, met our Dishcrawl amabassador, Paige Laurie, at Alchemy for some cocktails and a small plate to kick things off. Dishcrawl guards the element of surprise closely, so all we knew was to meet at Alchemy where we would then follow the tour to three other mystery eateries. Most of the folks there were coupled up or in small groups of friends, but I was fortunate enough to find a group of kindly ladies who invited me to tag along with them for the evening. Before settling in, I had Parks the bartender make me "anything with vodka" and he came back with a delightful, off-the-cuff concoction that was equal parts tart lemon, sweet pear, and smooth vanilla. And a lot (a lot) of vodka. 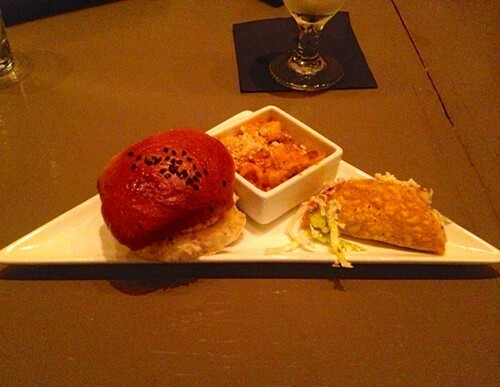 That's a Donnell Farms beef and pimento cheese slider, Louisiana crawfish mac and cheese, and an adorable, teeny-tiny chili roasted fish taco with toasted cumin slaw. Alchemy's new chef, Nick Seabergh, came out to introduce himself and see how his dishes were going over. (They were going over quite well at my table.) This is a regular part of the Dishcrawl experience: sampling select items from the menu and then meeting the chef or manager behind the magic. Things move at a reasonably fast clip, so after about 35 minutes, we were up and on our way to Cortona, where we met the brand new manager, Jennifer Dickerson, and had a sampling of truffle chicken meatballs over house-made tagliatelle, shrimp and grits with Arancia Rossa (blood orange) sauce, foie gras on toast points with strawberry compote, and a small salad of bitter greens. The final stop — the fourth restaurant is apparently the dessert stop — took us to Imagine Vegan Cafe for an array of mini vegan cupcakes and Devil's Food whoopie pies. 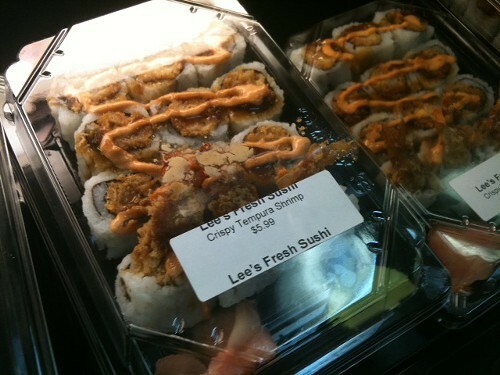 Only a handful of Dishcrawlers had ever been to Imagine, and everyone remarked on how tasty the vegan treats were. This is obviously one of the biggest draws for participating restaurants: a chance to bring in new customers, some of whom may have never heard of your establishment, and introduce them to your menu. For $45, it's not a bad deal for diners either, especially when you take the fun atmosphere into account. 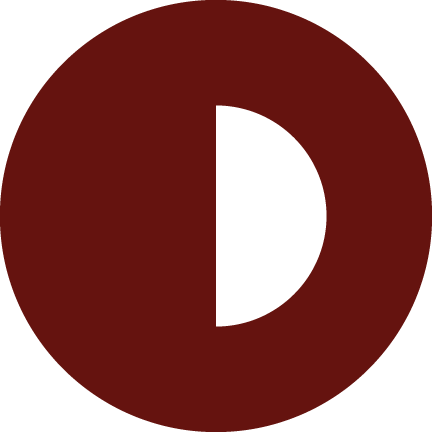 Dishcrawl is looking at doing another event, called "Neighborfood," in April, with as many as eight restaurant stops over a longer period of time. Keep your ears open for more on that and visit the Dishcrawl Facebook page for updates. There are those among us who approach a box of Lucky Charms like anthropologists, carefully combing the cereal to unearth the treasures of dehydrated marshmallows. Those folks are the target audience for Magician's Cereal Marshmallows, which is 100% marshmallows with none of the cereal. The product was launched in 2010 by Germantown resident Craig Rich through his company CMRI. 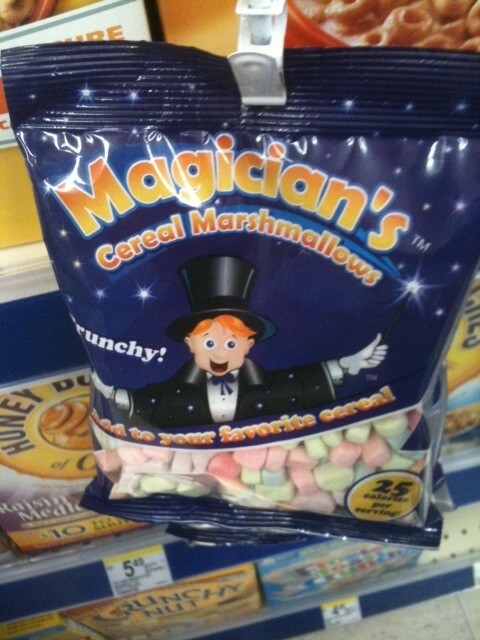 Last spring, Rich scored a deal with Walgreen's that placed Magician's Cereal Marshmallows in stores nationwide. 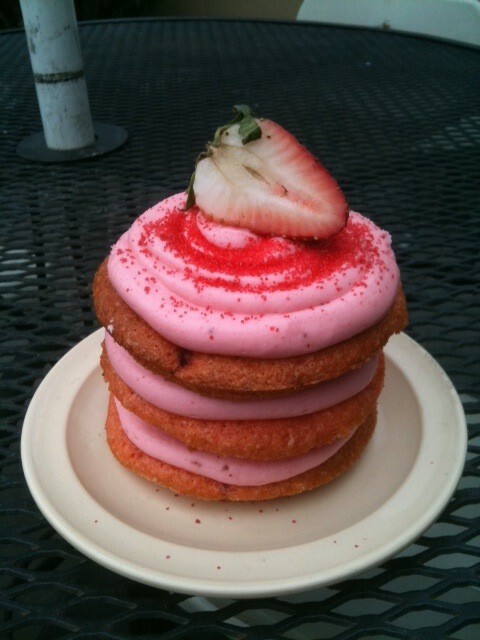 Lunchbox Eats' strawberry cake is another discovery made while working on a story about Tastin' 'Round Town for Memphis magazine's February dining issue. Food Lovers' Booksigning, Vote for Chubby Vegetarian, etc. Let's get this out of the way, shall we? Writing about friends, coworkers = conflict of interest. This applies to everything below. Yay! 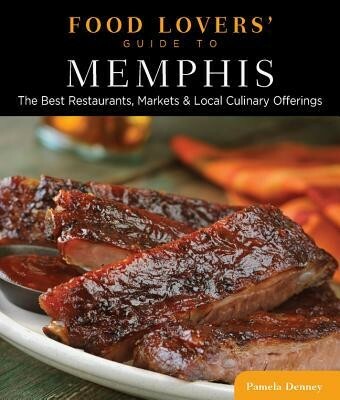 • Memphis magazine food editor and my friend Pam Denney is signing her book The Food Lovers's Guide to Memphis on Thursday, February 7th, 6 p.m. at the Booksellers at Laurelwood. • The Chubby Vegetarian blog by Flyer contributors Amy Lawrence and Justin Fox Burks has been nominated for The Kitchn Homies 2013 award in the Best Recipe Blog category. As of this writing, they are tied for 1st place. Also nominated in this category is Memphis-based blog The Runaway Spoon. Voting continues through February 8th. • Finally, Flyer Associate Editor Bianca Phillips is leading the Who Dat Crunk Vegan? team, hoping to best some 12 other teams competing in a gumbo contest to held during the Tennessee Equality Project's Mardi Gras Celebration, Sunday, February 10th, 4:30 to 7 p.m., at Earnestine & Hazel's. A $10 ticket gets you a taste of all the team's gumbos and a vote in the People's Choice Awards.